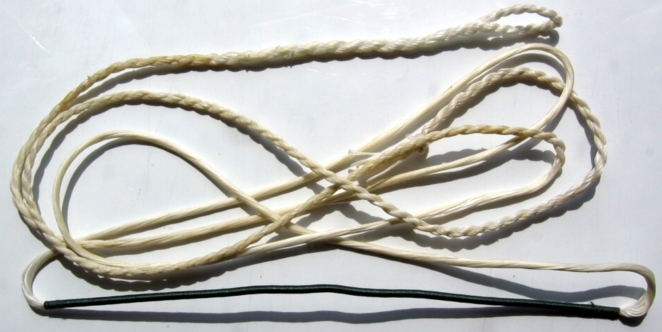 Single loop, you will need to tie `Bowyers knot` at the other end, made using white Dacron b-50, served with green serving, want something different? let us know. Use the drop down box to let us know what weight range your bow is in and what length it is between the nock slots (measured down the back of the bow when un-strung) if your bow is out side these parameters just let us know or give us a call. Choose how many you want at check out. BOW LENGTH 66" 67" 68" 69" 70" 71" 72" 73" 74" 75" 76" 77" 78" 79" 80"